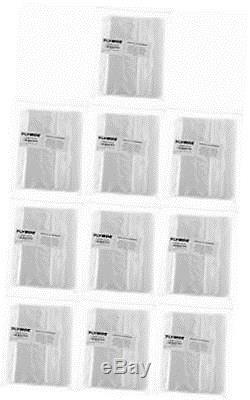 Plymor 10" x 12", 2 Mil (Case of 1000) Zipper Reclosable Plastic Bags. 10" x 12", 2 Mil (Case of 1000) Zipper Reclosable Plastic Bags What size bag to order? Measure your item by its width, height, and depth because the plastic bag needs to fit all the way around it. Item width + item depth = bag width. Item height + item depth = bag height. Add an extra 1/2 to the bag width for the item to fit through the zipper opening. "Mil" is the plastic thickness. 002, slightly thicker than the standard sandwich bag. Are the bags food safe? Because our reclosable bags are made from virgin LDPE (low density polyethylene), they meet FDA requirements for food contact and storage, and are BPA-Free. How to open and close? For your convenience, the bag's top lip is offset, making it easy to separate the sides and open the zipper track. Separate the two sides of the bag's top lip and use your thumbs to gently pull the zipper track apart. To close, pinch together one end of the zipper and slide your finger and thumb along the zipper. Remember to squeeze excess air out of the bag as you close the zipper. How to use the bags? Reclosable bags are an essential organizing tool in any home, garage, office, retail store, warehouse or factory. Show us in your product review how you use your bags! 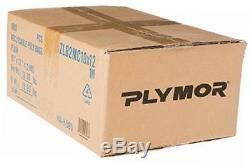 Guarantee: Collecting Warehouse guarantees all Plymor? Products to arrive free of damage or defects. BAG SIZE: 10" wide x 12" high, below the zipper (254mm x 304mm). QUANTITY: 1,000 bags (10 convenient packs of 100). 002 thick transparent polyethylene (LDPE), FDA food storage compliant. Excellent for organizing and separating candy, food, jewelry, craft supplies, clothing, pills, art prints, books, papers, tools, school supplies, hardware, collectibles, yarn, toys, merchandise for resale, electronics, fashions or makeup with protection from moisture and dust. Brand product, your satisfaction is guaranteed. Your expectations are very important for us to meet, so please make sure to check the following? Make sure you look at the text as most important over the picture if there is any question as to what is included. What once started out as a small shop that would sell a variety of bargain priced products, we expanded out into the online retailing market shortly after. We are very quick to respond and even quicker to take care of any issue that might occur. If you would like to return a defective item, please make sure you mark as factory defect while returning the item. We must emphasize that it is extremely important to make sure you that ask for a return right away and to not delay past the 30 day mark as we cannot accept it once it is past that date. Aside from all of that, you are very important to us as a customer, so please just remember to ask and reach out if you have anything that needs attention. By purchasing this item you agree to the terms and conditions stated above. 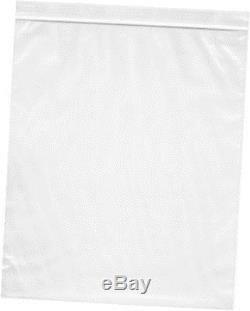 The item "10 x 12, 2 mil (case of 1000) zipper reclosable plastic bags" is in sale since Sunday, April 08, 2018. This item is in the category "Business & Industrial\Material Handling\Packaging & Shipping\Packing & Shipping Bags\Reclosable & Zipper Bags". The seller is "macdesignconcepts" and is located in USA.